WHEN two security guards in Dalian in north-east China got their first month’s pay packet earlier this year, they questioned why each received different amounts for identical work. The company responded that one man was 5cm (two inches) taller than his peer. Workers over 180cm earn more, they said, because bigger guards make people feel safer. 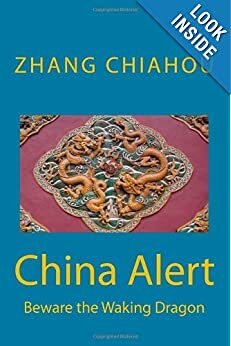 Stature is often a desirable attribute of guards, but in China height requirements are routinely specified for jobs which seem to have no need of them. To study tourism and hotel management at Huaqiao University in Fujian province, men topping 170cm are favoured, and women over 158cm. A post as a female cleaner in Beijing is advertised to women of at least 162cm. Many companies are less explicit about such demands than they used to be, but candidates often list height (and weight) on their curricula vitae. The height premium is most pronounced for women, according to a study from Huazhong University of Science and Technology. It found that each centimetre above the mean adds 1.5-2.2% to a woman’s salary, particularly among middle- and high-wage earners. A group at China University of Political Science and Law is working on a draft law against employment discrimination for height and other physical characteristics. Ever more Chinese are rising above such constraints, however. A 45-year-old man in China today is around 5cm taller than 30 years ago, according to the RAND Corporation, a think-tank. Soldiers are growing too tall for the diminutive tanks favoured by the People’s Liberation Army; in 2010 the government raised by 10cm the height under which children in China travel free on trains (a rare scheme that benefits the small). Greater heights mostly reflect greater incomes. Richer people tend to eat more and live in cleaner, better homes. Meat consumption per person has increased more than fourfold since 1980. Infant mortality is less than a tenth of what it was 60 years ago. Household size has also helped. Historically people from big families have been shorter (not just in China) because food supplies must stretch further. In China the birth rate fell sharply from the 1970s nationwide. But there are differences across the country which partly reflect the uneven benefits of the economic boom. Eighteen-year-olds from the richest cities are on average 7-8cm taller than those from the poorest ones. The height gap between prosperous and impoverished rural areas is similar. Southerners have long been shorter than northerners. Although the difference between rural and urban heights has narrowed since 1975, other discrepancies persist. The World Health Organisation says around 20% of children in poor rural areas are “stunted”, a common indicator of chronic malnutrition. This compares with 2.5% of city children. Employers’ preference for high and mighty staff exacerbates that inequality. It is time they grew up. via Height discrimination: The rise of China | The Economist. 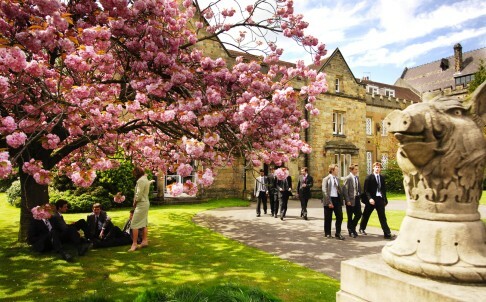 SCMP: “A decade after Bo Guagua, grandson to a revolutionary hero and son of fallen Communist Party leader Bo Xilai, became the first Chinese to attend Britain’s elite Harrow School, agencies promising access to Britain’s top independent schools are expanding rapidly to cope with rising demand from the growing pool of high-net-worth individuals from China. The London-based education consultancy Gabbitas opened its first office in Shanghai in 2009. Four years later, it also advises well-off parents in Guangzhou, Wenzhou and Dalian on how to get their children into secondary schools once reserved for British and continental European aristocracy. Within five years the agency plans to open another 12 branch offices, said Sofie Liao, director of Gabbitas in China. Schools like Eton and Harrow “are getting more and more enquiries from Chinese families,” she said, anticipating annual growth rates of 10 to 15 per cent. These schools “have royalty, they don’t care how much money you have in your bank account or how many listed companies you have,” Liao said. “It’s a very long selling cycle,” said Jazreel Goh, director for education marketing at the British embassy in Beijing, adding that such agencies are unlikely to be challenged by the average Chinese rivals. “The market is a very niche and specialised service. The bar for being a good boarding school agent is set quite high – you have to have the network of boarding schools and you have to know which might suit the applicant,” she said. Goh estimated that there are about ten professional boarding school agencies in China. The trend she has seen is more upper-middle-class parents signing up with agencies to send their children to the UK. via China’s wealthy increasingly attracted to Britain’s elite secondary schools | South China Morning Post. WSJ: “What’s the outlook for growth and the plans for reform of China’s economy? China Real Time planned an exclusive interview with Premier Li Keqiang to get the lowdown. Unfortunately there wasn’t a time when both of us were free. 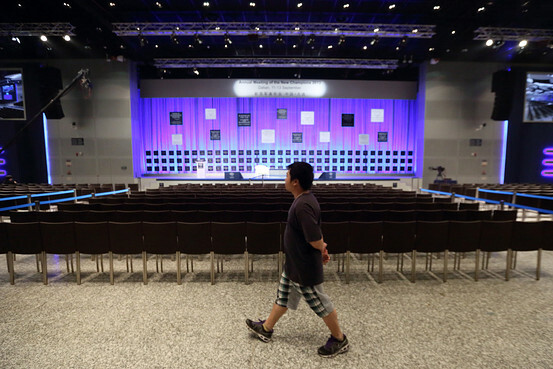 So instead we read the transcript of Mr. Li’s question and answer session with executives at a closed door session at the World Economic Forum in Dalian, Tuesday. Mr. Li’s remarks on everything from the role of government to the importance of financial reforms contained little in the way of new commitments. But coming ahead of a November meeting of senior Communist Party leaders – billed as the decisive moment for shifting China’s economic model – they raise expectations of concrete progress. Here are the edited highlights of what Mr. Li said, and what we think it means. A theme Mr. Li hit at his first press conference as Premier back at the National People’s Congress in March, and again here, is the need to get the roles of government and the market right. One of the main criticisms of Wen Jiabao – Mr. Li’s predecessor – was that he allowed the state to grow its role at the expense of a dynamic private sector. The hope among many economists is that Mr. Li will push back in the other direction. Another criticism of Mr. Wen’s approach was that every hiccup in the economy was greeted with a credit- and investment-fueled stimulus. That helped keep growth buoyant and employment high, but also left a legacy of high debt and industrial overcapacity. Mr. Li is signaling he wants to focus on long-term reform rather than short-term stimulus. China’s artificially low government-set interest rates channel funds from household savers to business borrowers – contributing to lackluster consumption and overdone investment. Mr. Wen struck an early blow to liberalize interest rates toward the end of his administration by raising the ceiling on deposit rates and lowering the floor on loan rates. Mr. Li has continued in the same direction, with loan rates now set entirely by the market. The next step is further liberalization of deposit rates – good for savers but bad for banks, which would see profit margins fall. Mr. Li says he wants to allow a greater role for private firms in the financial system, and a more open capital account. Both would increase the efficiency of capital allocation. But some economists worry that with China’s state banks overextended from years of breakneck lending, rapid reforms could lay weakness bare and precipitate a crisis. Low productivity in state-dominated sectors of the economy is a key barrier to sustaining growth. Mr. Li stops short of any specific proposals, but the hope is that areas like telecoms, banking and logistics will be increasingly open to competition. With an audience of foreign executives, Mr. Li also threw in a reference to protecting intellectual property, a key concern for multinationals that fear their technology and know-how will be pilfered by Chinese rivals. China’s domestic media have focused attention on this line, where Mr. Li nods to his experience as a farmer in the 1970s in inland Anhui province.The message is aimed partly at China’s students. Anticipating close to 7 million university graduates nationwide this year, the government has been trying to encourage realistic expectation on employment prospects. High ambitions are good, but starting at the bottom is OK.
via Reading Li Keqiang’s Tea Leaves at the World Economic Forum – China Real Time Report – WSJ. The Economist: “IN A heavily guarded courthouse in the eastern city of Jinan, the trial began on August 22nd of a politician who was once one of China’s most powerful figures. 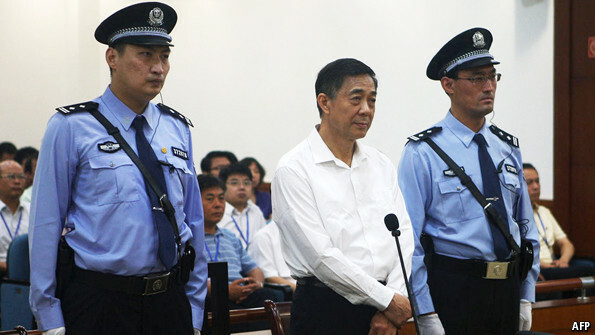 Bo Xilai, who is 64, has been accused of receiving bribes, embezzlement and abuse of power. His downfall in March 2012 caused the greatest political shock of its kind in decades. That the trial is under way at last is a sign that Xi Jinping, who took over as China’s leader eight months after Mr Bo disappeared from public view, is confident that he can handle its ramifications. Mr Bo, like Mr Xi, is the son of one of Mao Zedong’s fellow revolutionaries. He remains popular in the parts of China where he has served, including as Communist Party chief in the 29m-strong region of Chongqing in the south-west. He is an icon of diehard Maoists and members of the “new left” who decry China’s move towards money making. 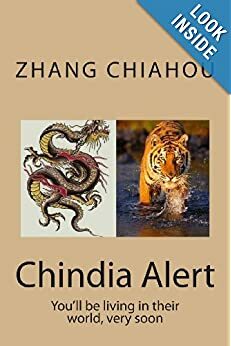 Handling Mr Bo’s case without upsetting powerful families and arousing public ire (whether of Mr Bo’s fans or of the many Chinese who are aggrieved at widespread official corruption) has been Mr Xi’s challenge. As the trial began, dozens of supporters gathered nearby. Police dragged several away. Mr Xi and his colleagues wished to choreograph the proceedings—which at the time of going to press were expected to last just a day or two—with great precision. But Mr Bo, with a characteristic feistiness, queered the pitch from the outset. He denied a charge of bribery involving payments of more than 1.1m yuan ($180,000) from a businessman in the north-eastern city of Dalian. His response to the other charges, including millions of dollars in other kickbacks, are not yet known. Foreign journalists were barred from the trial. The allegations, even if disagreeable to Mr Bo, would have been tailored to suit all factions—including, to some extent, his own, for Mr Bo had powerful backers, including within the security forces. Speculation has also centred on whether the state tried to secure Mr Bo’s co-operation by promising not to go after his 25-year-old son, Bo Guagua, who was expensively educated in Britain and is now studying in America. The younger Mr Bo may hope one day to to avenge his father’s downfall. 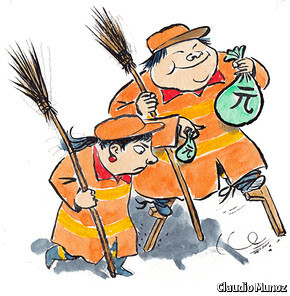 via Bo Xilai on trial: Settling scores | The Economist. China’s investment in infrastructure continues relentlessly. A high-speed railway linking major cities in Northeast China began trial operations on Monday, ahead of its launch at the end of the year. The new line, which links Dalian, a port city in Liaoning province and Harbin, capital of Heilongjiang province, is the world’s first high-speed railway built to withstand extreme cold weather conditions, according to a statement by Harbin railway authorities. A test train departed Harbin on Monday morning, arriving in Dalian three-and-a-half hours later. The journey takes nine hours on an ordinary train. 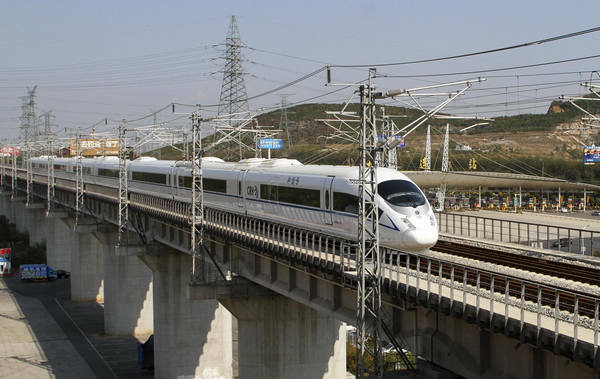 The new line will make 24 stops and connect 10 cities, including the capitals of Liaoning, Jilin and Heilongjiang provinces. Construction of the 921-kilometer line began in 2008. It is designed to reach a top speed of 350 kilometers per hour, but will travel initially at a maximum of 300 km/h, railway authorities said. The line has to withstand extreme temperatures as low as -39.9 C in winter and as high as 40 C in summer, which poses major challenges to the trains and railway construction. Zhang Xize, chief engineer of the Harbin-Dalian high-speed railway program, said the low temperatures in Northeast China could threaten the roadbed and rail track and ice could also disrupt the power supply and signal system. “We researched the experiences of high-speed railway line construction in relatively cold areas of Germany and Japan and took reference from road, water conservancy and electric supply projects in frigid areas,” Zhang said. The railway is fitted with special facilities to remove snow and ice from the line and to protect its power supply systems from the elements. “We have used all the measures that we can come up with to ensure the safety of this project,” said Zhang. The line could provide a boost to the tourism industry in Harbin and Dalian, both major vacation destinations. Harbin is notable for its beautiful ice sculptures in winter and its Russian legacy, and Dalian is well known for its mild climate and multiple beaches. “The railway comes at the right time as I was planning to take my daughter to see the ice lanterns in Harbin this winter,” said Liu Yan, a 38-year-old resident of Dalian. via Ice train begins trial operations|chinadaily.com.cn.